It’s not often you get to have lunch with a Master Distiller, especially one who has never even visited the UK before. 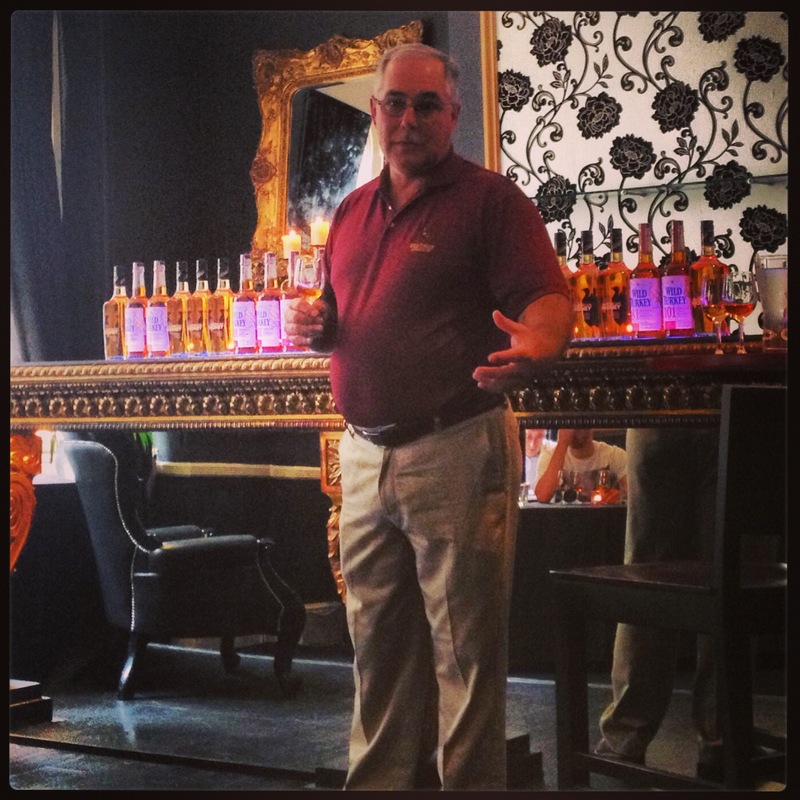 But that’s exactly what happened today when Eddie Russell of Wild Turkey came to Manchester’s Room Restaurant and Cocktail Bar to talk about his and his fathers, Jimmy Russell, creations. The brand can start its history way back in 1869 when the Ripy brothers opened their family distillery on Wild Turkey Hill in Lawrenceburg, Kentucky. Initial interest of the distillery came from the Ripy brothers representing Kentucky at the 1893 World’s Fair, but with the beginning of Prohibition in the US in 1919, the distillery closed until 1933. In 1940 though, Thomas McCarthy, a distillery executive, brought some of his whiskey with him on a wild turkey hunt and shared it amongst friends. 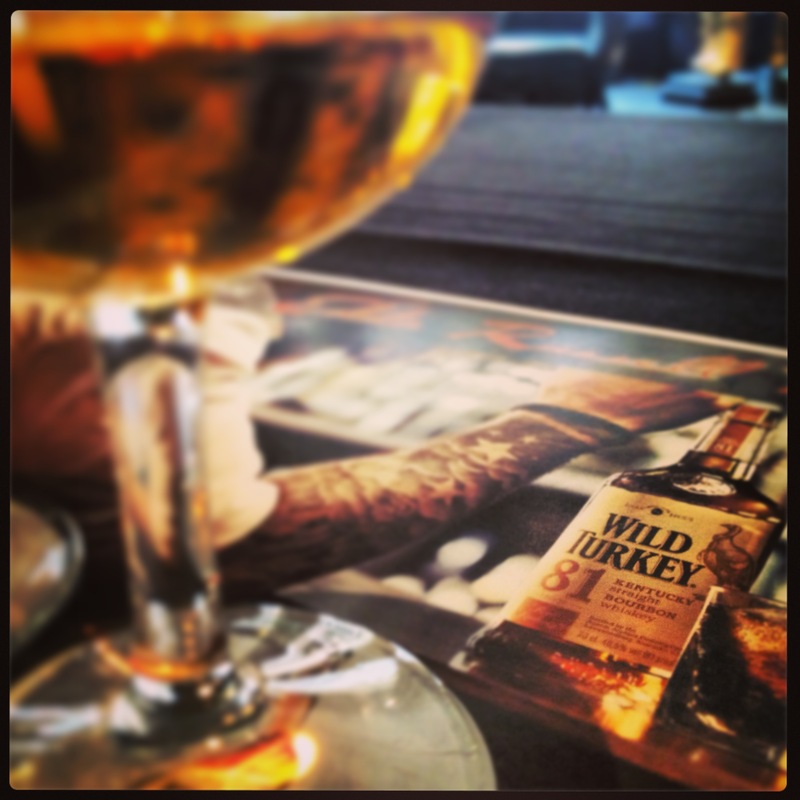 It’s said that they enjoyed it so much that they requested he bring some more ‘Wild Turkey’ bourbon on the next hunt. 1954 saw Master Distiller Jimmy Russell (Eddie’s father) join the company, and in 1980, Eddie himself started to work in all parts of the distillery process and bottling, eventually rising to his current role as the associate master distiller. Before Eddie joined though, 1971 saw the Ripy brothers bought out by Austin Nichols Distilling Company, who were subsequently acquired by Pernod Ricard in 1980. Now though, its name is under the Campari Group who purchased the brand back in 2009. It’s hard to believe that Jimmy and Eddie Russell have a combined 93 years of loyal service in producing Wild Turkey, even more so when Eddie reveals that his father still works at the distillery every day, producing their 15 strong portfolio. It would also be common to see him chatting to other industry distillers like Booker Noe of Jim Beam and Elmer T. Lee of Buffalo Trace (who has very unfortunately passed away this past week) over a dram of his favourite – Wild Turkey 101. But how does Jimmy and Eddie create their biggest seller? It begins with the selection of sweet corn, rye, and barley malt for distilling, and then using water that comes straight from the Kentucky River to cook the grains during the mashing and malting stage. Once the malted barley gets tossed in, sour mash is added to start the fermentation process. During this process, the yeast turns the starch into sugar. The yeast strain used is the same from the very beginning, and kept in various places (including Eddie’s fridge and even another state in case the power goes and warms the strain, rendering it useless) and is added to the corn, rye, and malt to create the yeast mash. Once the fermentation has finished, the liquid mash is pumped into a continuous still where it is heated so the alcohol can disperse from the mash, rise up the still and into a condenser where it forms back into a liquid. After distillation, the spirit is poured into new #4 alligator char, white oak barrels and then stored for aging. The whiskey is tasted annually after two years until ready to be drawn from the cask (Wild Turkey age there whiskey longer than most distilleries). Once Jimmy and Eddie believe that the Wild Turkey is ready, the bourbon is poured through a filtration system and into a bottling machine. Introduced in 2011 and has aged bourbon of 6-8 years. 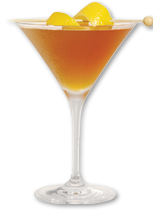 A nose that begins rather light, but develops aromas of vanilla and caramel to have a rich finish. Smooth on the palate with a velvet texture despite lots of wood flavours. A slow spice and vanilla finish that’s long and mouth-watering. A marriage of primarily 6, 7 and 8-year-old bourbon. Aromas of light wood with lingering notes of caramel and vanilla on the nose. A sharp slice of spice and the vanilla at the beginning of the palate, with the spice developing a warmth that freshens and lingers for a long finish. 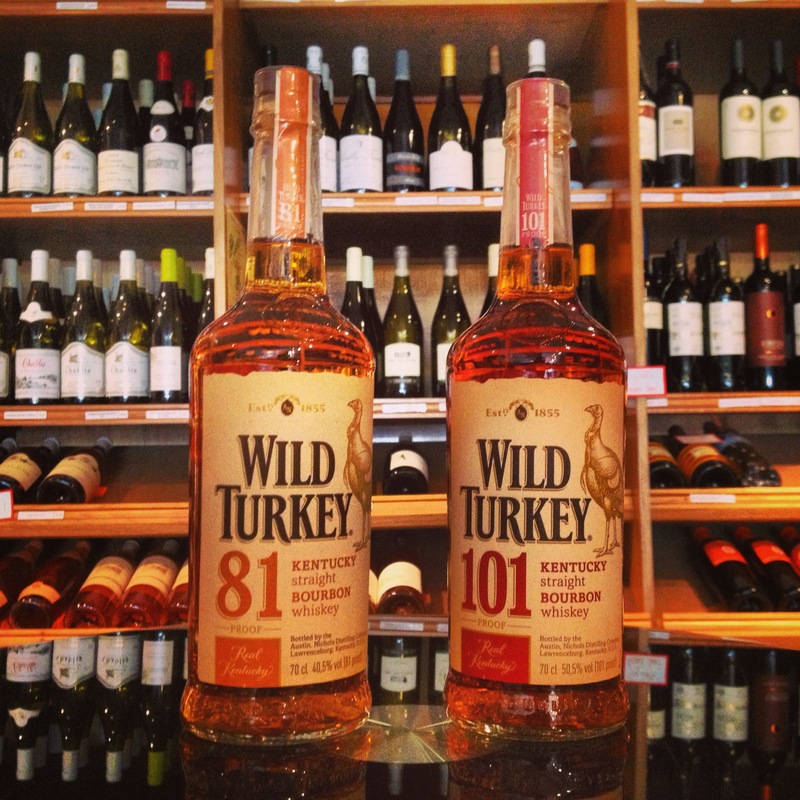 Introduced in 2006 and is a blend of pure honey and 4-year-old Wild Turkey. Soft and light on the nose with a lingering scent of honey and sweetness. Almost aromatic. Soft again on the palate, with the sweetness carrying on to oak and vanilla flavours. A great blend of flavours that leaves a fresh aromatic experience. Stir all of your ingredients with ice in a mixing glass until well chilled. Strain into a chilled glass. Garnish with an olive and a lemon twist. Wild Turkey is a growing brand, with Australia and Japan huge fans of the brand (Eddie and Jimmy once spent 45 minutes signing items on their first visit to Japan, and they had only just left their car! ), but the UK is seeing more awareness in the name, especially within the bars as they compete in Wild Turkey’s first ever cocktail competition. If you’re in cities including London, Bristol, Edinburgh and of course Manchester, expect many a bartender to try out their creations on you all as they try to win themselves a prize to the Wild Turkey Distillery! A brand that is worth gracing your drinks cabinet, and a name that covers all aspects of bourbon drinkers too. What more could you ask?! * A special thanks to Martin Taylor for allowing me the time to come along and meet Eddie Russell in person. those genes. Sit up straight then tilt your chin up toward the ceiling.